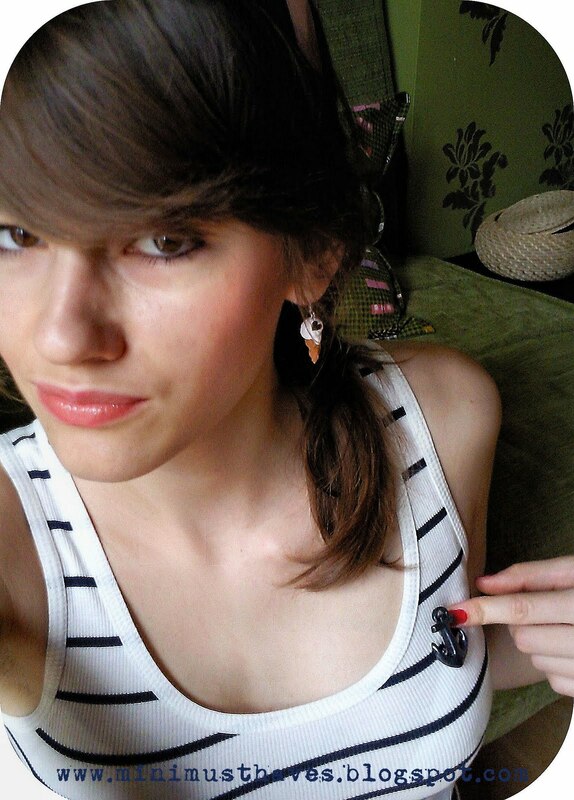 Every earring obviously has a twin friend, not in every pic you can see them together though ;). If someone fell in love with these tiny things and would like to have one of them only for herself (or himself ;) ), please don't hesitate to contact me ! 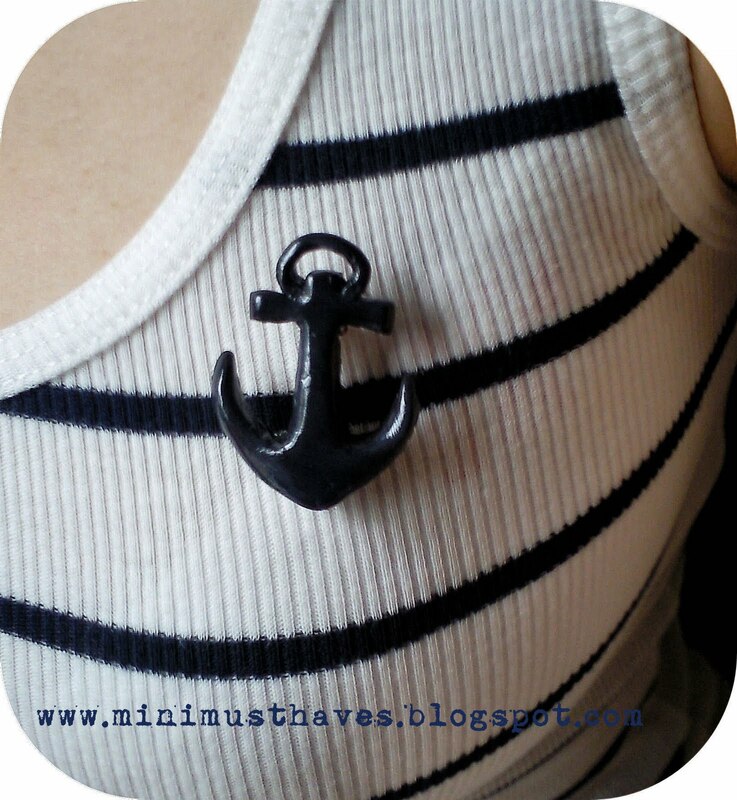 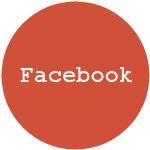 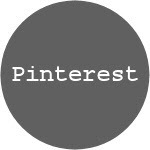 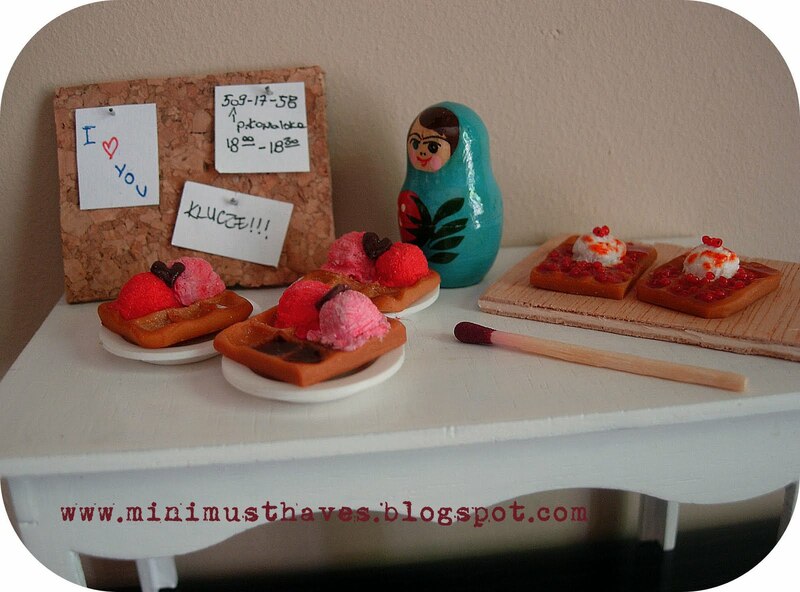 So welcome to my newly-created blog ! 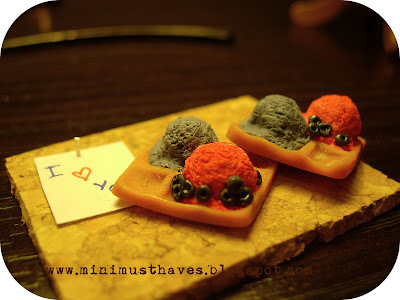 What I'm going to place here are snapshots of little creatures crafted by me, mostly using polymer clay, but not only. 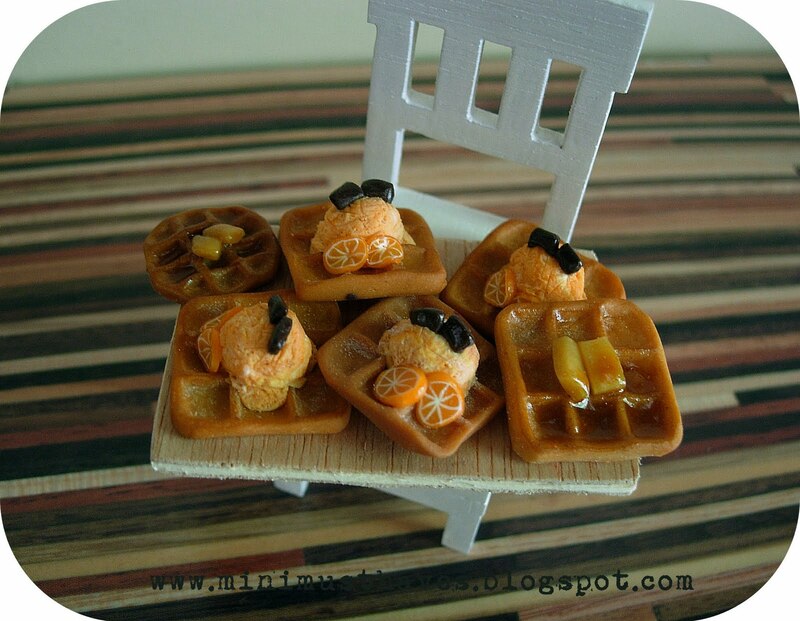 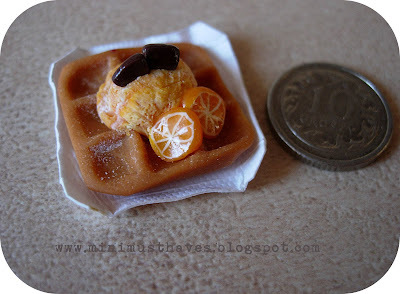 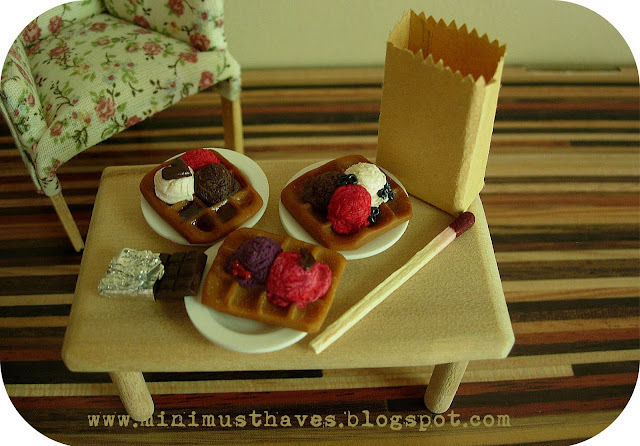 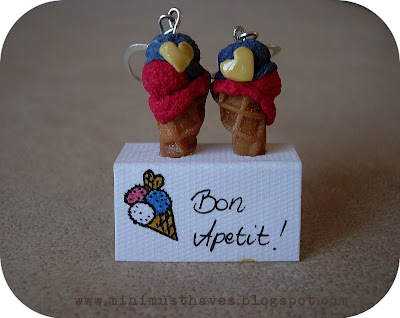 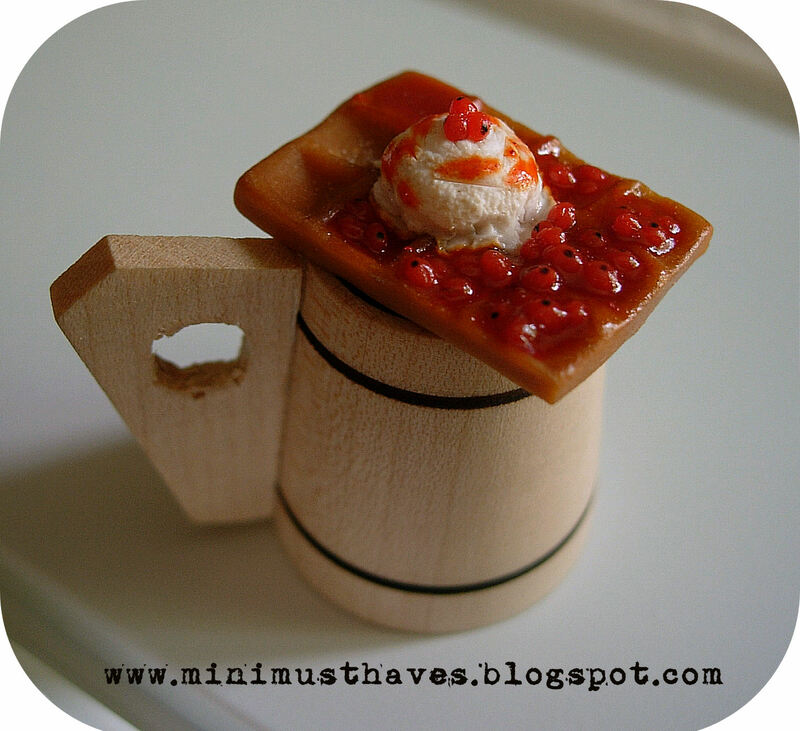 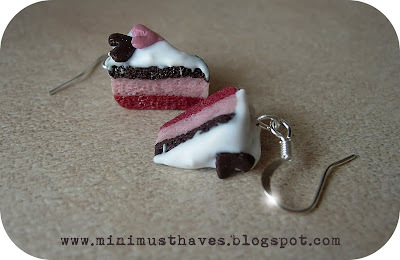 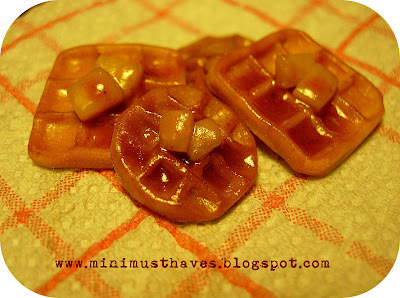 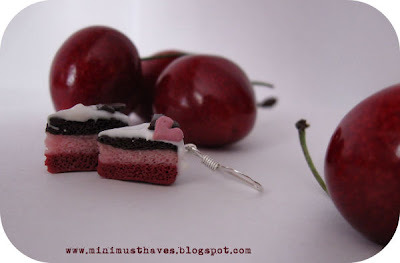 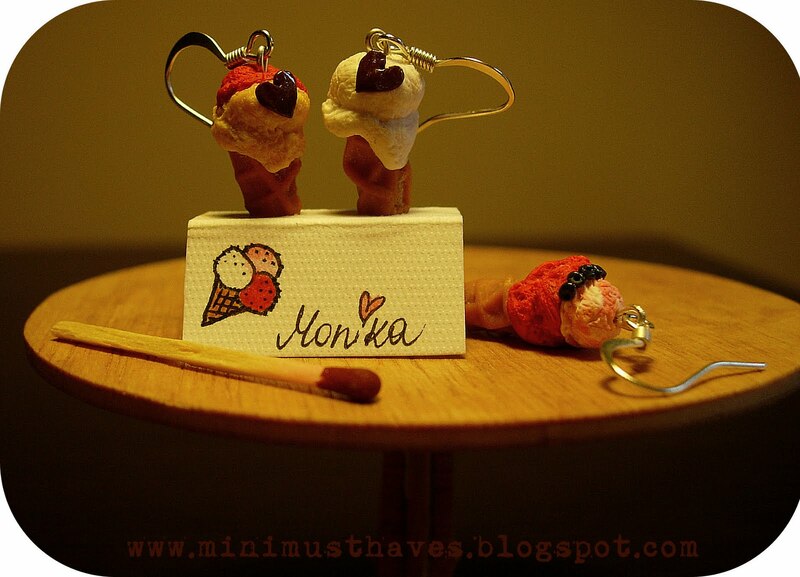 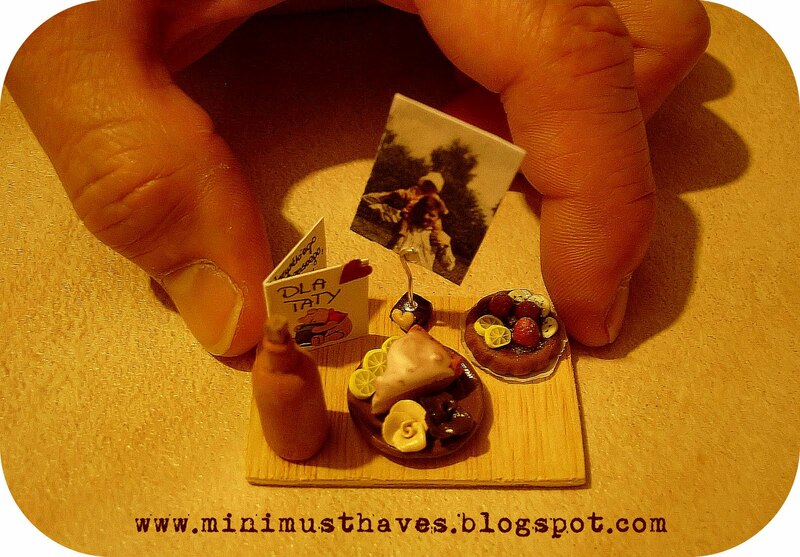 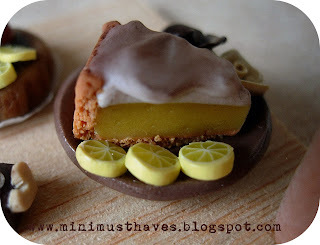 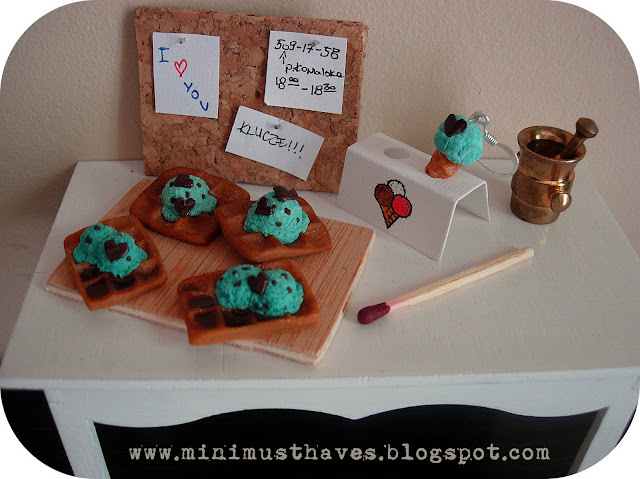 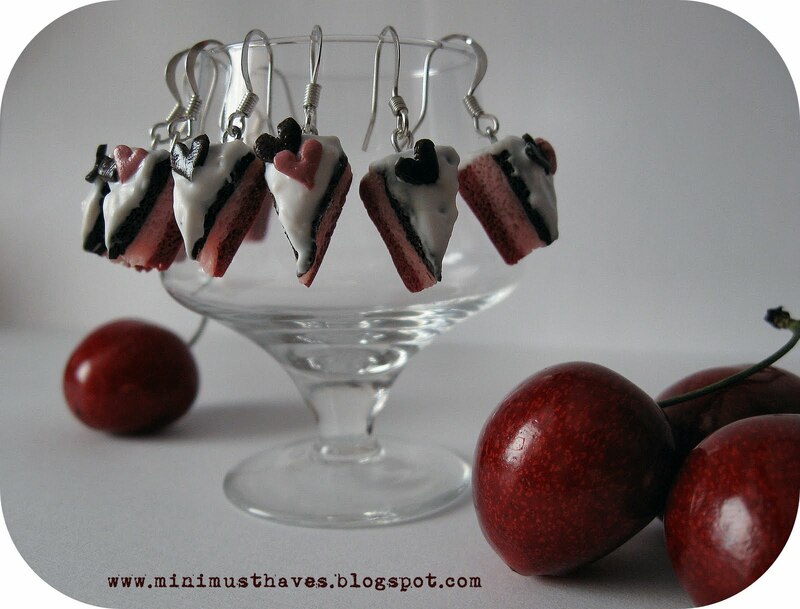 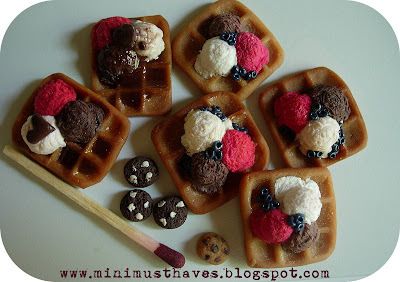 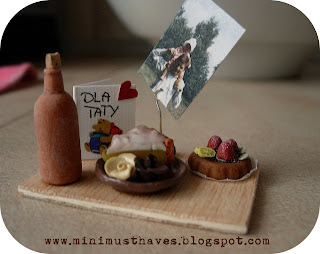 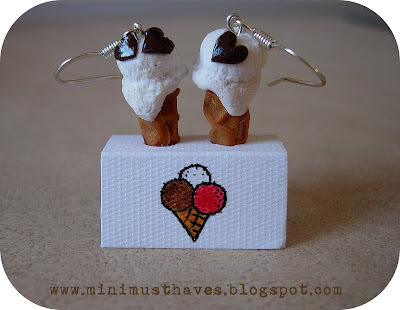 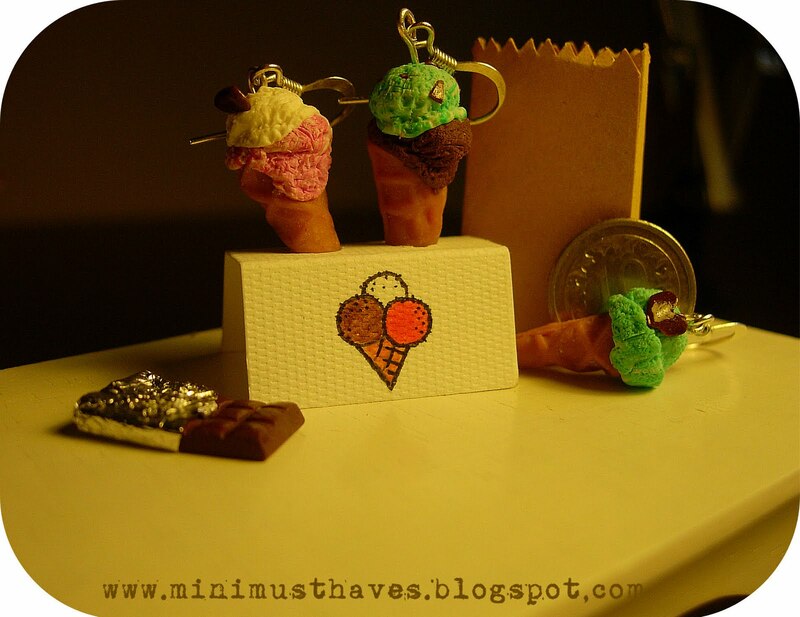 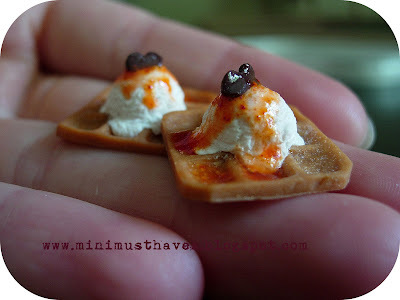 Currently I'm extremly fascinated by all those cute handmade food miniatures you can find on the Internet, either sweets or serious dishes. 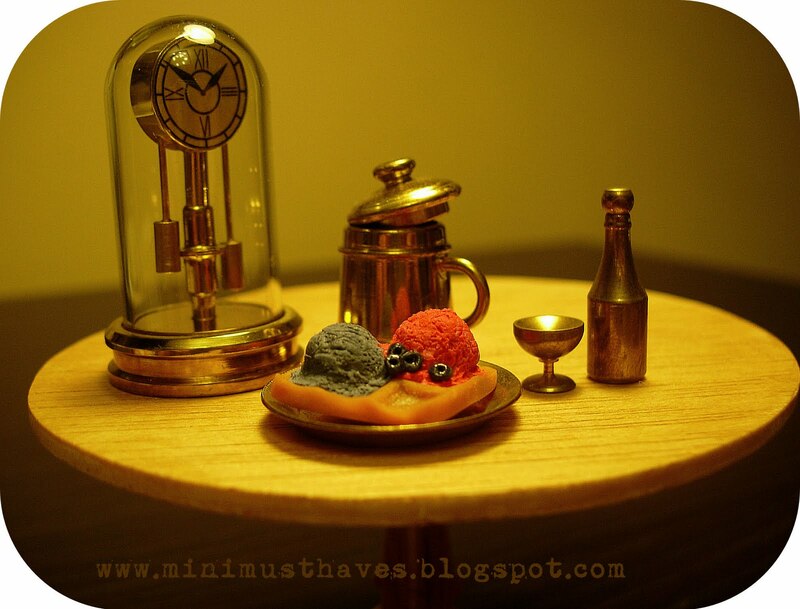 You can safely call me a dollhouse addict as well, and that's probably caused by my interest in interior design. Because of my love for 1/12 scale things, I decided to start miniaturising myself, and here I am, presenting what I managed to craft to you guys (hope you enjoy it). I'm also going to try to make a living from my little obsession (minis ! 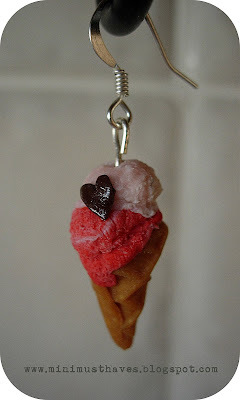 ), though I'm not quite sure how it will come out.